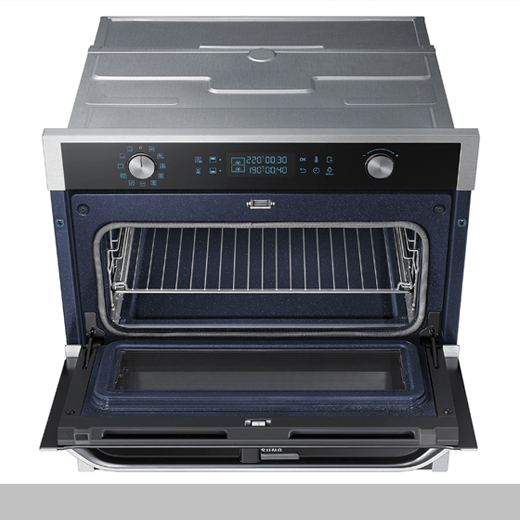 An oven with a dual door system, the Dual Cook Flex™ materializes the company’s dual-cook function, which allows two dishes to be cooked simultaneously at different temperatures using the same size space as other conventional ovens. Users can selectively open the upper door or the full door by manipulating the handle, so they can check and cook two or more dishes at the same time with minimal heat loss. Designed by: Jaejun Kim and Jichang Kang of Samsung Electronics Co., Ltd.